You may have previously implemented improvement initiatives, only to find a couple of months later, your people have reverted back to their old ways and the benefits achieved were not compelling. The specialist team at Logistix uses methodologies that can help businesses achieve tangible and sustainable results quickly by aligning processes, technology and people to corporate goals and strategies. 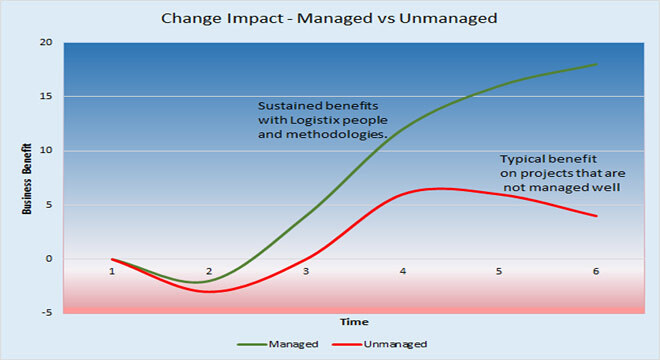 Business Transformation – How Logistix Can Help? Understand the needs of the organisation as a whole, its strategic direction, the needs of stakeholders and the clients. Call or email now to arrange a meeting and discover how Logistix can uncover compelling opportunities within your business.